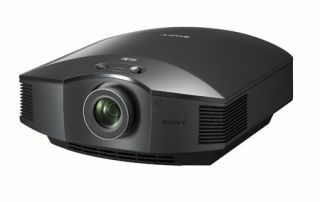 CEDIA SHOW 2011: First look at Sony's new £3000 3D projector | What Hi-Fi? We've just been given a demo of Sony's new, more affordable 3D projector, the £3000 VPL-HW30ES – using the inevitable demo sequence from Avatar (again!). We tried it with Sony's new TDG-PJ1 3D glasses, which are 18g lighter than the previous model, and they can be charged in 30 minutes to provide 30 hours of continuous viewing. And very comfortable they are too. There's also a new 3D transmitter, the TMR-PJ1, which synchronises with the glasses. The transmitter and glasses are sold separately for €100 (£89) and €70 (£62) respectively. You can find out more about the Sony VPL-HW30ES in our earlier news story. We hope to get our hands on a review sample soon.